Rechts kunt u zoeken in onze database met 'interessante links'. Daaronder staat een overzicht van de 10 laatst toegevoegde links. Wanneer u het zoekscherm leeg laat, krijgt u een totaal overzicht. Copenhagen Consensus 2004 – addresses 10 major challenges in the world. IDESiGN - What is Design Thinking? Improv Everywhere: We Cause Scenes! 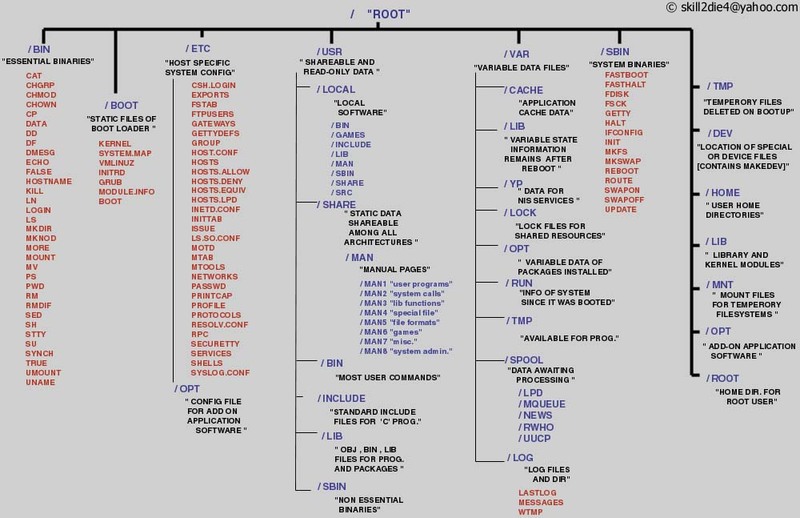 Learn UNIX in 10 minutes. One million dollars or all the world's knowledge of economics? In this skillful lecture, Professor Patrick Winston of the Massachusetts Institute of Technology offers tips on how to give an effective talk, cleverly illustrating his suggestions by using them himself. He emphasizes how to start a lecture, cycling in on the material, using verbal punctuation to indicate transitions, describing "near misses" that strengthen the intended concept, and asking questions. He also talks about using the blackboard, overhead projections, props, and "how to stop." Running time: 45 minutes. Occasionally smart people say pretty smart things. The computing world likes to call these pearls of wisdom laws. They also like to name each law after the person who coined it. Take, for instance, the most well-known of all the computing world’s laws, Moore’s Law, which is named after Intel founder Gordan E. Moore. In the web industry we have no such laws. While computer software and engineering is a science, web work isn’t. I view web work as an amalgamation of a variety of crafts and disciplines, like behavioral psychology, art and design, information sciences - and, since the end medium depends on technology, part computer science. Given that last bit, it makes sense that some computing laws would apply to the world of the web. Since I have an awful time remembering them, I figured I’d write down the ones that have been helpful to me in my career in the web industry. There are 3 major challenges in designing a successful infographic. To clearly understand what type of information it is trying to communicate – whether spatial, chronological, quantitative or, as is usually the case, a combination of all three. To conceive a suitable representation for that information as a cohesive whole – a whole that is more than the sum of its constituent parts such as, charts, diagrams, maps, timelines etc. To choose an appropriate medium for presentation – static (paper or computer screen), motion (animation or video), or interactive (increasingly web or other electronic device-based, but could be something as simple as a paper-based pregnancy wheel). Information graphics reveal the hidden, explain the complex and illuminate the obscure. Constructing visual representation of information is not mere translation of what can be read to what can be seen. It entails filtering the information, establishing relationships, discerning patterns and representing them in a manner that enables a consumer of that information construct meaningful knowledge. In the attention scarce world of today, information graphics (or infographics) have taken the media and communications industries by storm. From simple instructions on how to assemble your table, to explaining how a conjoined set of twins were surgically separated, to understanding what went wrong in the Challenger Shuttle disaster – designers, educators, journalists, and communicators in general have embraced infographics to help audience understand their intent in a swifter and smarter way. In this article we will explore what an infographic is, how it evolved, and what it takes to create one. The dictionary with a new point of view. A quick glance at the index is all it takes to connect words with images. Explore the 15 major themes to access more than 6,000 images and see words like never before. This page links to samples of interactive graphics, simulations, and other materials that could give you ideas for your own projects. This site converts bitmap images to vector art - it's an online auto-tracer. Just upload your image and we will vectorize it for you. Vector art is useful because it allows you to scale an image without making it blurry or pixelated. The importance of typography in design can’t be overestimated. The accuracy, precision and balance of geometric forms can give letters the elegance and sharpness they deserve. Besides, elegant fonts can help to convey the message in a more convenient way. In fact, while there are many excellent professional fonts (we’ve presented some of them in our article 80 Beautiful Typefaces For Professional Design) there are literally thousands of free low-quality fonts which you would never use for professional designs. Quality costs. The price of “bulletproof” fonts usually reflects their quality and starts at 50$ per typeface. However, before purchasing a font you will probably use only once in your designs you might want to take a glance at outstanding free alternatives first. Over the last year we’ve been observing typo-designers and their works; we’ve regularly collected high-quality fonts available for free download and free to use for personal or/and commercial projects. In this article we’d like to present an overview of over 40 excellent free fonts you might use for your professional designs in 2008. What is your favourite? Compared to conventional navigation patterns tag clouds don’t necessarily offer a more convenient and intuitive navigation. However, used properly, they can provide visitors with an instant illustration of the main topics, giving a very specific and precise orientation of the site’s content. Since human beings tend to think in concepts and models, it’s easier to get an idea of presented content if the main concepts are given straight away — in digestible pieces, and prioritized by their weight. In fact, the main advantage of tag clouds lies in their ability to highlight the most important or/and popular subjects dynamically which is not the case in conventional navigation menus. Tag clouds offer a quite interesting approach for site navigation; although the technique is sometimes considered to be an “alternative”, it shouldn’t replace the “common” navigation but support it giving users additional clues about the content of the site. Due to their “cloudy” form the design of tag clouds sets them apart from other design elements on a page. And although designers don’t really have that much choice in designing them, they still find their ways to break through the bounds of creativity and come up with some unusual approaches and solutions. This article offers some selected examples of tag clouds, its shortcomings and also some suggestions for tagging data and links in a more profound and effective way. Google Guide is an online interactive tutorial and reference for experienced users, novices, and everyone in between. I developed Google Guide because I wanted more information about Google's capabilties, features, and services than I found on Google's website. CWAs are CEN publications. Copies can be obtained from the CEN Member Organizations. In addition, the CEN Members have agreed that certain CWAs may be provided on this web-site for electronic downloading free of charge. The CWAs concerned are produced by Workshops whose participants have concluded a special arrangement, or they relate to the eEurope standardization effort. Other CWAs may be purchased from a CEN Member. CWAs are CEN copyright. Those made available for downloading are provided on the condition that they may not be modified, re-distributed, sold or repackaged in any form without the prior consent of CEN, and are only for the use of the person downloading them. For additional copyright information, please refer to the statements on the cover pages of the CWAs concerned. Een prachtig uitgevoerd online bordspel! Web designers often concern themselves with optimizing sites for spiders from Google, Yahoo, and other search engines, but pay little attention to creating sites that real people can use. This problem has sparked a movement towards user-centered web design, a topic that covers accessibility, web standards, and interfacing. Check out these blogs for the latest and greatest in this people-centric field of design. Reuse, recycle, but don’t reinvent the wheel unless necessary. Every month we take a look around and select some of the most interesting web-development-related web-sites. We read articles, check out tools, analyze the advantages of new resources. Below you’ll find useful references, tutorials, services, tools, techniques and articles we’ve found over the last 30 days - an overview of web-sites you shouldn’t have missed in September 2007. All images can be clicked and lead to the sites from which the screenshots have been taken. We’ve missed something? Let us know in the comments! Below are all 177 Berkeley Video Courses. The right side has tons of educational resources. If you have trouble viewing them try real alternative or real player. Also see the MIT Courses with Video Lectures. List by Jimmy Ruska, Checkout my Video Tutorials on youtube. Similpedia is a project of Similario that tries to associate web content with Wikipedia articles. It helps you find relevant English Wikipedia articles that have similar content to a blog, news article, or an entire web page. If you would like to see what Wikipedia has in stock on certain topic of your choice, paste a URL or a paragraph (or a whole page if you would prefer) in the search box and then click "Find Similar". Using our intelligent analysis algorithm, Similpedia rapidly processes through more than 1.8m English articles and provides a list of titles that it estimates are similar and relevant to your query. A few weeks ago we published a list of 34 places to get design inspiration online and off and it proved to be one of our most popular articles to date. So today we journey back out to the world of design inspiration to bring you many, many more places to get inspiration - 60 to be precise. I have literally been combing the web and have unearthed so many great sites and places that I’d never seen. From advertising to architecture, graphics to web, art to design, there’s a bit of everything. I hope you enjoy them as much as I enjoyed finding them and that they inspire some of the great works of tomorrow! Capture the Conversation was developed by the co-founders of Room 214, Inc., James Clark and Jason Cormier. The concept of "markets are conversations" came from The Cluetrain Manifesto book written by Rick Levine, Christopher Locke, Doc Searls and David Weinberger. Leveraging over a decade of experience in advanced web development, online advertising and public relations - we applied Searl's premise a step further simply by recognizing how markets are created and influenced through the Internet. Getting your email to look great in all the major email clients can be a challenge at times, so we've done the hard work for you with these 30 free email templates. We've tested them in all the major email clients, so add your own content and you're all set.